Iran's Foreign Ministry is set to sell three estates owned by Iran in sub-Saharan Africa, including a previous residence of Reza Shah, who was forced to abdicate the throne by the Anglo-Soviet invasion of Iran in 1941. 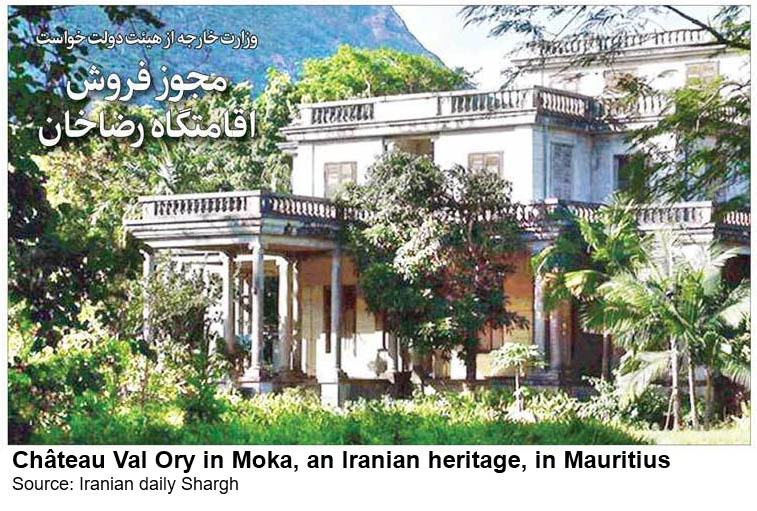 In a proposal delivered to President Hassan Rouhani, the Foreign Ministry has asked his administration's approval for selling three estates owned by the Iranian state, including Reza Shah's residence on the African Island-state of Mauritius. Now, 77 years later, the Islamic Republic's Foreign Ministry has proposed selling the residence, ostensibly to get an unused property off the balance sheets. Critics, however, say Iran's conservative leaders want to wipe out any trace of the modernizer king, who instituted reforms giving more opportunities to Iran's religious minorities and whose rule saw progress on women's rights. Meanwhile, the Foreign Ministry has also proposed selling Iranian's embassy buildings in Nairobi, Kenya, and Lagos, Nigeria, and reinvesting the proceeds to build new ones. The Mauritian Minister of Finance and Economic Development, Seetanah Lutchmeenaraidoo, said last year that Tehran and Port Louis were set to expand their cultural cooperation. Lutchmeenaraidoo singled out Reza Shah's residence as an Iranian heritage site and a potential base for Iran-Mauritius cultural cooperation. Meanwhile, the heated debate over a mummified body recently discovered in Iran and believed to be that of Reza Shah continues. 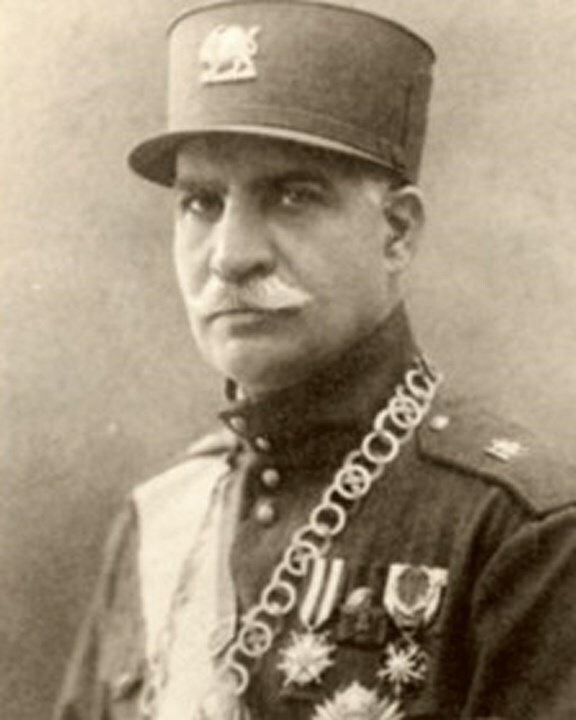 Reza Shah died in 1944 at age 66 in exile in Johannesburg. His body was taken to Egypt where it was embalmed and kept at the royal Al Rifa'ei Mosque in Cairo. In May 1950, the remains were returned to Iran and buried in a mausoleum built in his honor in the town of Ray (ancient Raga), in the southern suburbs of the capital, Tehran. Immediately after the Islamic Revolution and downfall of the monarchy in Iran, a mid-ranking cleric, Sadiq Khalkhali, with the tacit approval of the Islamic Republic's founder, Ayatollah Khomeini, tried to demolish the mausoleum. However, he failed to find the body.